Discussion in 'Online Games - News and Reviews' started by Mike, Aug 10, 2018. Exciting things await fans of online casinos carrying games by the Stockholm-listed software provider, NetEnt. The group recently announced that it was introducing a new game concept with its new MAX product line. The long and the short of it is that NetEnt will release two versions of the same game – one aimed towards leisure players who appreciate lower stakes, and another version – the MAX option – aimed towards players who seek greater winning potential. NetEnt will introduce the industry to its MAX series with the dual rollout of BerryBurst slot and BerryBurst MAX slot on August 23rd 2018. The release of BerryBurst and BerryBurst MAX slots will showcase NetEnt’s new concept slots that simultaneously cater to different player groups and, at the same time, allow operators to address different needs with one simple game launch. The double release ensures MAX games that have similar return to player percentages and share proprietary NetEnt game mechanics to their traditional versions which should prove just as popular. The advantage of a double rollout on the same day for operators is that it allows them to expand their portfolio, and also to place games into multiple areas through a single, multi-targeted and very cost effective marketing promotion. Most importantly, however, is the fact that operators can cater to the preferences of all their players – not only casual players but also those who are after the challenge of more sizeable wins. A sneak-peek of BerryBurst slot was seen at the recent iGB Live Amsterdam event on July 18th, and analysts are already commenting that this promises to be a game to be reckoned with. 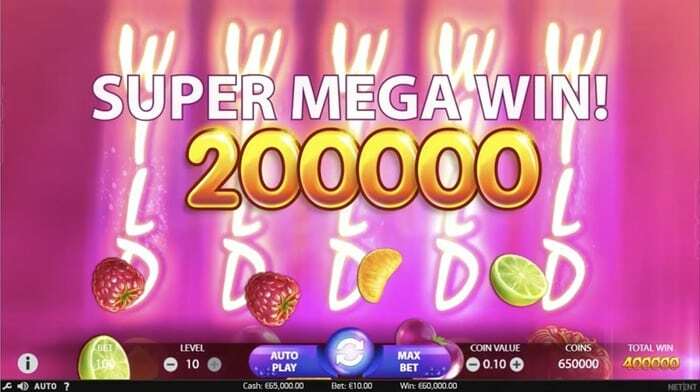 If the look and the title of the slot seem familiar, it’s because NetEnt decided to ride on the success on its most popular slot game of all times, Starburst. As such, this will be a sister title to Starburst but with its very unique characteristics and features. BerryBurst will be bursting with every type of berry available in a game that looks vibrant and colorful. Its twin release, BerryBurst MAX will share all the features and symbols, although its winning potential will be higher. Bonus features in the game will including Cluster Pays, expanding wilds on all reels, Re-spins and Juicy Fruits.